How to Make a Light Following Plant Robot #Robotics « Adafruit Industries – Makers, hackers, artists, designers and engineers! 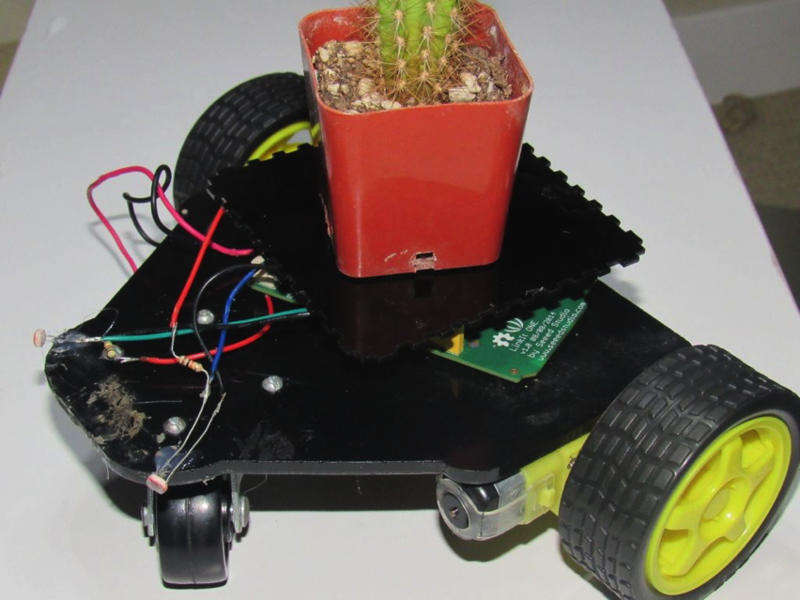 In this instructable, I will show you how to make a robot that moves a plant towards light. This project was partially inspired by one of my older instructables, the planterbot. This project is mostly for fun; if left unattended, this robot can fall off a table or hit a wall.